According to the new home building permit data compiled by the City of Cape Coral, Florida for calendar year 2013, new home building in the city flourished. For the fourth consecutive year, since this key matrix bottomed in 2009, the number of new home building permits issued will increase when compared to the previous calendar year. The results for 2013 are impressive. They represent a 49% increase vs 2012. There were 506 new home permits issued in 2013 vs 339 for 2012 for an increase of 167. Click the chart below to enlarge it and view the trend lines. You can view MLS listings for Sandoval at http://www.capecoralhouseforsale.com/properties/sandoval/ or learn more about the community amenities and view over 60 photos at http://www.capecoralhouseforsale.com/learn/sandoval-cape-…. Buyers are returning, according to the data. Why not? Cape Coral still has its 400 miles of canals, the Caloosahatchee River, Gulf of Mexico, proximity to Naples, Fl and Fort Myers, Fl in addition to its desirable Southwest Florida climate to attract those seeking to purchase a piece of paradise at substantial discounts when compared to a few short years ago. Look at these numbers representing new home building permits from 2008 through 2013. The trend is obvious. Cape Coral, Florida is still nowhere near its peak building boom year of 2005 when almost 7400 new home building permits were issued. Still, no one is complaining about the increases of the last four years after the financial crises the country experienced. Why should they when data provided by the Realtor Association of Greater Fort Myers and The Beach shows Lee County’s median home prices jumped 21.4% to $170,000 in November 2013 vs the same period last year. If you are interested in searching for homes in SW Florida, try browsing my recently enhanced website’s search capability. Easily browse resale homes using the advanced search feature which also includes 31 popular gated communities in Cape Coral, Ft Myers, Bonita Springs and Estero. Visit my website at www.capecoralhouseforsale.com/properties/mls-search and give a try. Contact me and I will be happy to guide you through the process of buying or selling a home. I’ll assist you in weighing the pros and cons of building new or discuss the existing resale property opportunities. Speaking to an individual who researches and knows the market can save you time and money. Call me today at (239) 738-8088! The new home building permit data compiled by the City of Cape Coral through August 2013 contains more good news for the real estate market in the city. For the fourth consecutive year, since this key matrix bottomed in 2009, the number of new home building permits issued will increase when compared to the previous year. The August 2013 results represent a 39% increase vs 2012. There have been 342 new house permits issued through August 2013 vs 246 through the same period in 2012. That number already exceeds the total permits issued for 2012. Click the chart below to enlarge it and view the trend lines. The Sandoval development continues to be a key contributor to the increase. The amenity rich community accounted for 79 of the 342 permits issued for a new homes year to date or 23%. 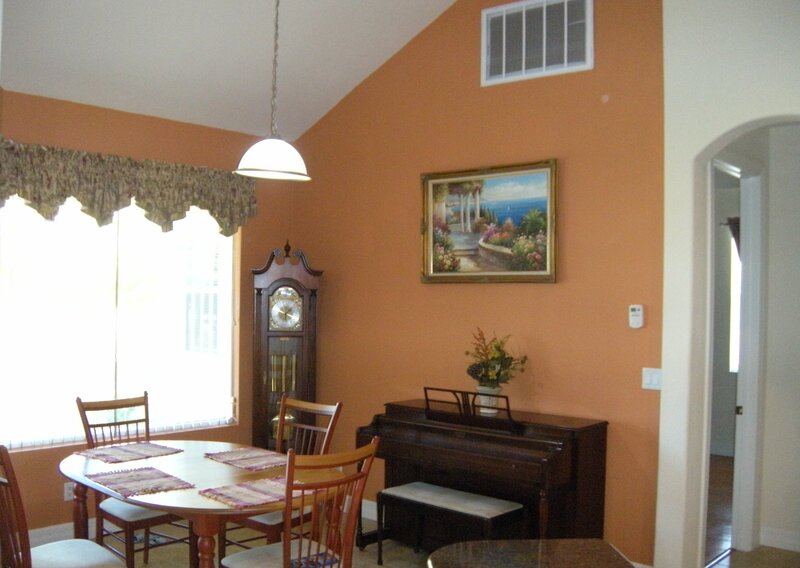 You can view the MLS listings for Sandoval at http://www.capecoralhouseforsale.com/properties/sandoval/ or learn about the community amenities and view over 60 photos at http://www.capecoralhouseforsale.com/learn/sandoval-cape-…. Buyers are returning, according to the data. Why not? Cape Coral still has its 400 miles of canals, the Caloosahatchee River, Gulf of Mexico, proximity to Naples, Fl and Fort Myers, Fl and desirable Southwest Florida climate to attract those seeking to purchase a piece of paradise at huge discounts when compared to a few short years ago. Look at these numbers representing new home building permits from 2008 through June of each year. The trend is obvious. If you are interested in searching for homes in SW Florida, I recently enhanced my websites search capability. You now can easily browse resale homes using our advanced search feature which also includes 31 popular gated communities in Cape Coral, Ft Myers, Bonita Springs and Estero. Visit my website at http://www.capecoralhouseforsale.com for more information. Contact me and I will be happy to guide you through the process of buying or selling a house. I’ll assist you in weighing the pros and cons of building a new home or discuss the existing resale property opportunities. Speaking to an individual who researches and knows the market can save you money. Call me today at (239) 738-8088! If you enjoy my site, please like us on Facebook. The new home building permit data compiled by the City of Cape Coral through June 2013 contains more good news for the real estate market in the city. For the fourth consecutive year, since this key matrix bottomed in 2009, the number of new home building permits issued will likely increase when compared to the previous year. The June 2013 results represent a 29% increase vs 2012. There were 235 new house permits issued through June 2013 vs 182 through the same period in 2012. That number already exceeds the total permits issued for 2008-2010 and is only 33 permits behind the 2011 full year total of 268. Click the chart below to enlarge it and view the trend lines. The Sandoval development continued to be a key contributor to the increase. The amenity rich community accounted for 60 of the 235 permits issued for a new house year to date. In prior years, Sandoval accounted for almost 50% of the total permits for Cape Coral. There are a few reasons for the percentage decline. First, Sandoval is a victim of its own popularity. Phase II almost sold out before Phase III was prepped for building. In January 2013 Sandoval recorded only one permit due to a lack of homes sites. 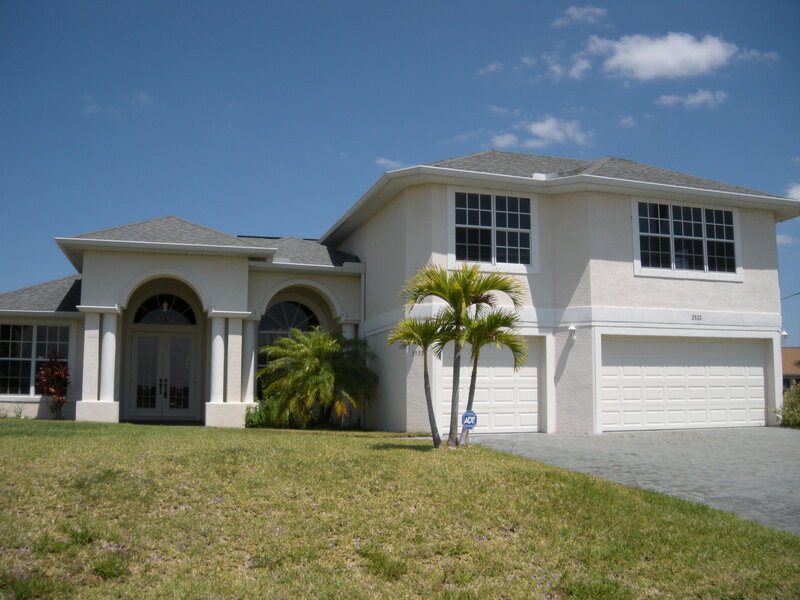 Construction in Phase III began in February 2013 .You can view the MLS listings for Sandoval at http://www.capecoralhouseforsale.com/properties/sandoval/ or learn about the community amenities and view over 60 photos at http://www.capecoralhouseforsale.com/learn/sandoval-cape-…. Another reason Sandoval’s percentage is down is because building is taking place in all sections of Cape Coral. New construction since 2007 had been almost totally confined to the southwest quadrant of the city. The recent announcement that Hertz will accelerate moving its corporate headquarters to Southwest Florida will only add to the number of buyers. The car rental giant will lease space in Naples beginning in August of 2013 while their $60 million dollar, 300,000 square foot facility located in Estero is under construction. The building is scheduled for completion in early 2015. Look at these numbers representing new home building permits from 2008 through June of each year. The trend is unmistakable. The Sandoval Community development continued to drive the new home permit data for Cape Coral real estate. The amenity rich community accounted for 96 of the 339 permits for new homes issued in 2012. Normally, any one development accounting for 28% of a cities permit total would have the developers jumping for joy. In prior years, Sandoval accounted for almost 50% of the total permits for Cape Coral. There are a few reasons for the percentage decline. First, Sandoval was a victim of its own popularity. Phase II almost sold out by August, months before Phase III’s Grand Opening scheduled for January 26th & 27th of 2013. Only 3 permits were issued in Sandoval for November and December. Taylor Morrison had four models built and ready to show to anxious consumers for its Grand Opening. Construction of new homes in Phase III is expected to begin in February 2013 . You can learn all about the floors plans being offered in Phase III by clicking here. 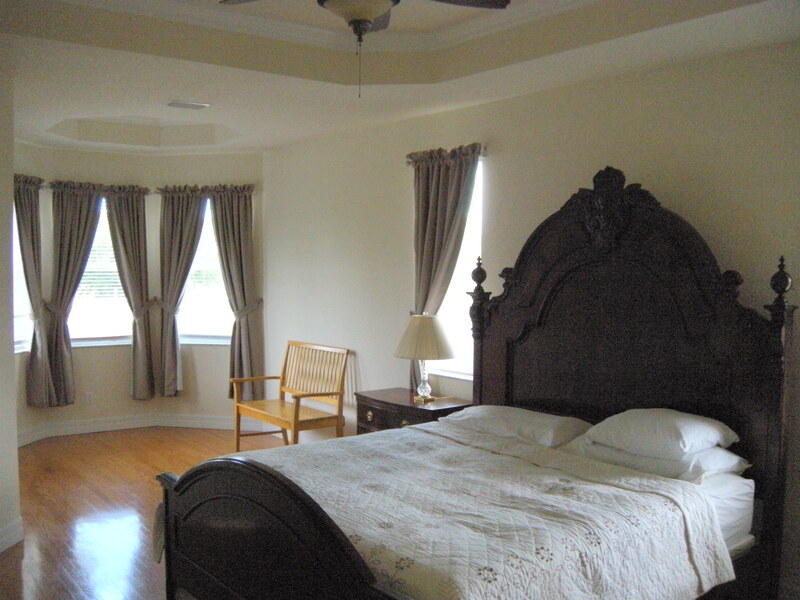 You can view the MLS listings for Sandoval at http://www.capecoralhouseforsale.com/properties/sandoval/ or learn about the community amenities and view over 60 photos at http://www.capecoralhouseforsale.com/learn/sandoval-cape-…. The other reason for Sandoval’s percentage to the total being down is because of building taking place in the Northwest portions of Cape Coral. New construction since 2007 has been almost totally confined to the Southwest quadrant of the city. In 2011 only nineteen permits with a NW property address were issued. In 2012 the number has almost doubled to thirty-four! While that isn’t a big number, it represents the best total in five years! Who can argue with that type of year over year percentage increase? Buyers are returning according to the data. Why not? Cape Coral still has its 400 miles of canals, the Caloosahatchee River, Gulf of Mexico, proximity to Naples, Fl and Fort Myers, Fl and desirable Southwest Florida climate to attract those seeking to purchase a piece of paradise at about a 40% discount when compared to a few short years ago. Look at these numbers representing new home building permits since 2008. The trend is unmistakable. “We appear to be well on our way out of the real estate crash”, said Michael Rogala a Realtor® who specializes in Cape Coral and Fort Myers, Florida properties, “I’m encouraged by the building now taking place in Cape Coral, Fl. Gulf access, no-bridge lots on the spreader are selling again. Several have sold for over $300,000 in the last few months.” Visit Mike’s website at http://www.capecoralhouseforsale.com for more information on his eight featured amenity rich communities, including Sandoval & Tarpon Point, plus prestigious waterfront homes and properties. Contact Mike and he will be happy to guide you through the process of buying or selling a home. He also has the knowledge to provide valuable information related to Southwest Florida builders that will assist you in weighing the pros and cons of building a new home or to discuss the existing resale opportunities. Speaking to an individual who researches the market will ensure you make an informed decision about SW Florida Real Estate. Call him today at (239) 738-8088! The new home building permit data compiled by the City of Cape Coral through August 2012 contains more good news for the real estate market in the city. For the third consecutive year, since this key matrix bottomed in 2009, the number of new home building permits issued will increase when compared to the previous year. The August results ensure 2012 will be the best year for new home building permits since 2007. There were 28 new home single family permits issued for the month of August 2012. 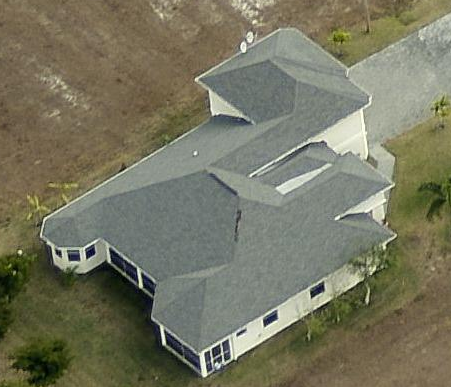 The 2012 year to date total for Cape Coral, Fl is 240 (not including six permits issued for duplex construction). That number already exceeds the total permits issued for 2008-2010 and is only 28 permits behind the 2011 total of 268. Through August of 2011 there were 177 permits approved for property owners. The difference represents a whopping 36% increase in 2012. Click the chart below to enlarge. The Sandoval development continued to drive the new home permit data for Cape Coral real estate. The amenity rich community accounted for 80 of the 240 permits issued year to date. Normally, any one development accounting for 33% of a cities permit total would have the developers jumping for joy. In prior years, Sandoval accounted for almost 50% of the total permits for Cape Coral. There are a few reasons for the percentage decline. First, Sandoval is a victim of its own popularity. Phase II almost sold out before Phase III was prepped for building. Taylor Morrison expects permitting for their models to be approved in the next 2-3 weeks. Construction of new homes in Phase III is expected to begin in the spring of 2013 .You can view the MLS listings for Sandoval at http://www.capecoralhouseforsale.com/properties/sandoval/ or learn about the community amenities and view over 60 photos at http://www.capecoralhouseforsale.com/learn/sandoval-cape-…. The other reason Sandoval’s percentage is down is because building is taking place in the Northwest portions of Cape Coral. New construction since 2007 has been almost totally confined to the Southwest quadrant of the city. In 2011 only eleven permits with a NW property address had been issued through August. Though August of 2012 the number has more than doubled to twenty-three! While that isn’t a big number, it represents the best total in five years! Who can argue with a better than 100% increase? Look at these numbers representing new home building permits since 2008 through August of each year. The trend is unmistakable. Contact Mike and he will be happy to guide you through the process of buying or selling a home. He also has the knowledge to provide valuable information related to Southwest Florida builders that will assist you in weighing the pros and cons of building a new home or to discuss the existing resale opportunities. Speaking to an individual who researches the market may pay off for you. Call him today at (239) 738-8088! This gorgeous home with 3,100 square feet under air was reduced in price again. It is now priced to sell at $244,900. The house is located in the Northwest section of Cape Coral Fl and is convenient to golfing, shopping, main thoroughfares, restaurants and Matlacha, Fl. 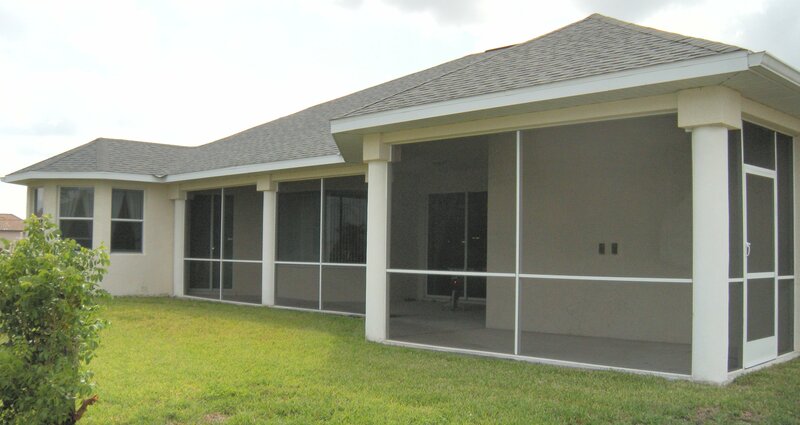 It is located west of Burnt Store Road at 3533 NW 21st Street, Cape Coral Fl. The house is being offered at over $100,000 below its original cost. Click Here for more info! The purchase price of the home includes many upgrades like granite counter tops, crown molding, 18 ft coffered and tray ceilings, breakfast nook and a sitting area in the spacious master bedroom. Enjoy the additional storage space a three car garage provides. You will be pleased to learn the home comes equipped with high-end Stainless Steel appliances and front loading Maytag washer and dryer. 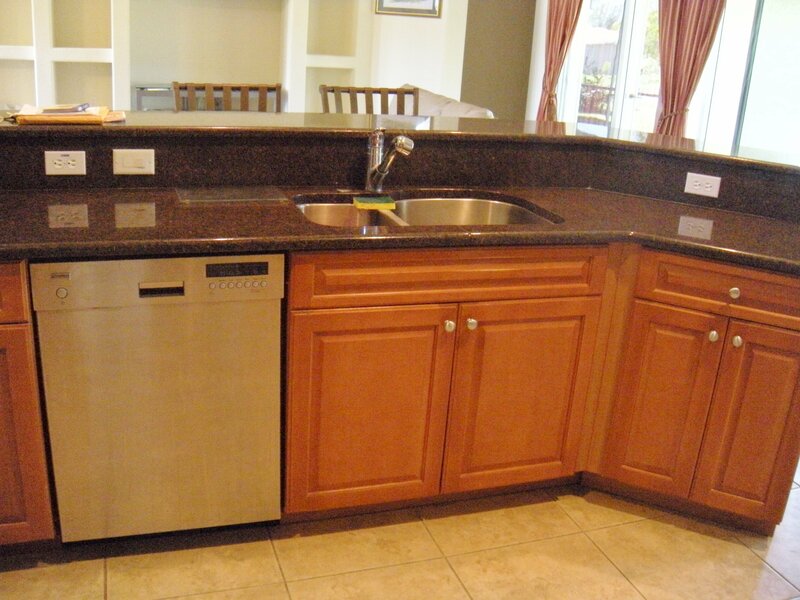 There is an abundance of counter and cabinet space in the spacious kitchen plus a pantry. You can sit back and relax in the warm Cape Coral breezes when you decide to take advantage of your private extra-large screened lanai that was designed with space for an outdoor kitchen. There is plenty of room for a pool that would add to anyone’s enjoyment of relaxing in the warm Cape Coral Fl climate. This super sized home can easily accommodate a large family or numerous guests. 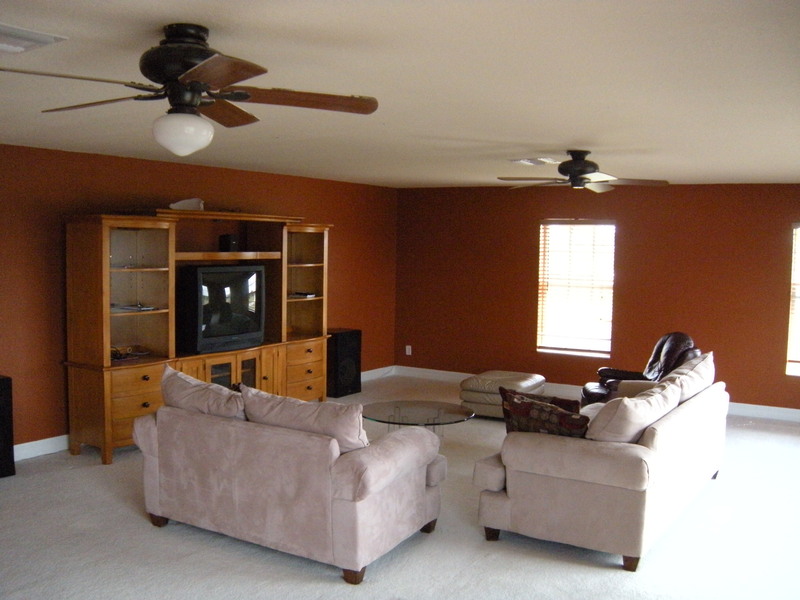 The enormous upstairs bonus room measures 31′ X 22′ and can be utilized in a way to best fit your needs. The den would make a great office and the two additional bedrooms provide great sleeping quarters for your family or guests to enjoy. Maybe you are not able to move to Cape Coral Fl immediately and/or do not want to take on any additional expenses until 2013. We have you covered. The home is leased for one year starting on September 1, 2012. Take advantage of the low mortgages rates currently in the housing market before they start to edge back up to historical levels by buying now! Come on down next year or use the home as an investment while the rent pays the bills. Prices are rebounding in the Fort Myers – Cape Coral Fl metro area. Mortgage rates are at or near record lows. Florida with all that sunshine and no state taxes is the definition of paradise for many homeowners. Add it all up and Cape Coral Fl is a great place to invest in real estate! After reviewing the photos below, call me today at (239) 738-8088 or email me at al@CapeCoralHouseForSale.com to arrange your showing for this magnificent Cape Coral Fl home! This gorgeous home with 3,100 square feet under air is priced to sell at $249,900. The house is located in the Northwest section of Cape Coral Fl and is convenient to golfing, shopping, main thoroughfares, restaurants and Matlacha. It is located west of Burnt Store Road at 3533 NW 21st Street. The house is being offered at over $100,000 below its original cost. The purchase price of the home includes many upgrades like granite counter tops, crown molding, 18 ft coffered and tray ceilings, breakfast nook and a sitting area in the spacious master bedroom. Enjoy the additional storage space a three car garage provides. You will be pleased to learn the home comes equipped with high-end Stainless Steel appliances and front loading Maytag washer and dryer. 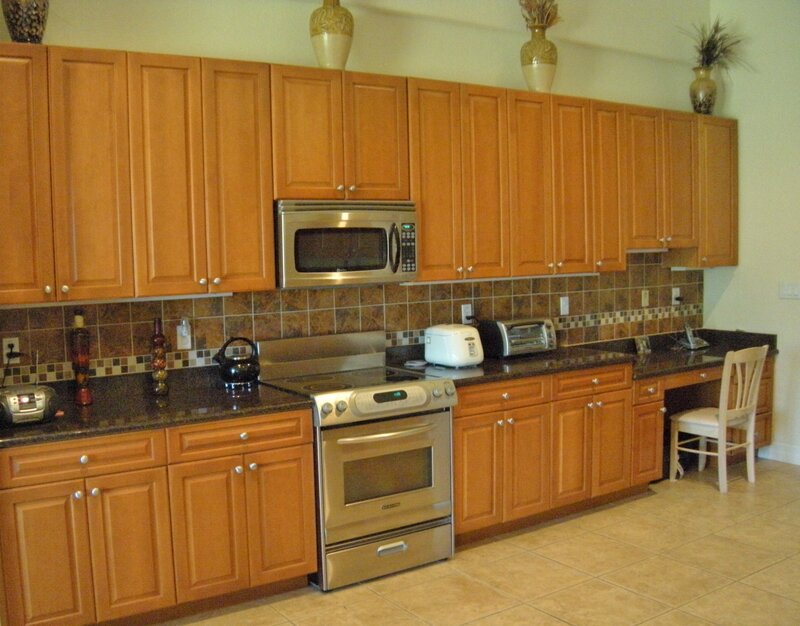 There is an abundance of counter and cabinet space in the spacious kitchen plus a pantry. You can sit back and relax in the warm Cape Coral breezes when you decide to take advantage of your private spacious screened lanai that was designed with space for an outdoor kitchen. 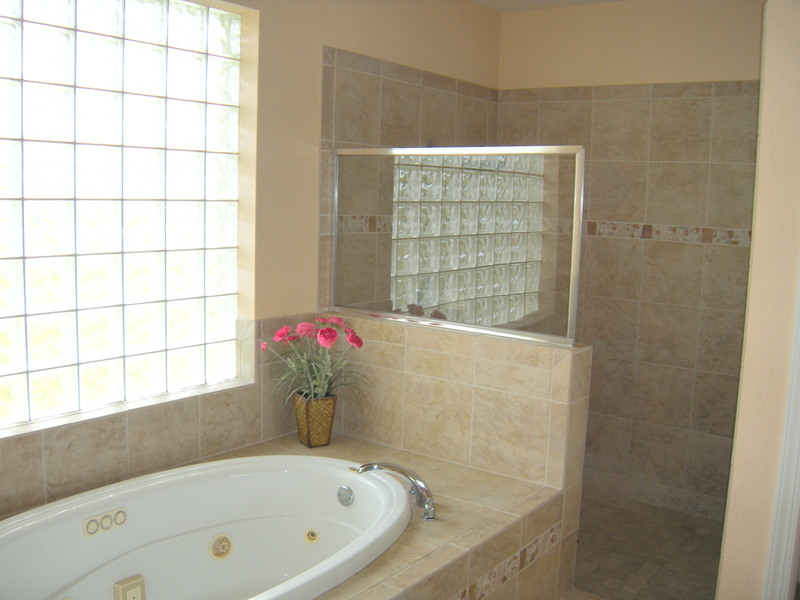 There is plenty of room for a pool that would add to anyone’s enjoyment of relaxing in the warm Cape Coral Fl climate. This super sized home can easily accommodate a large family or numerous guests. 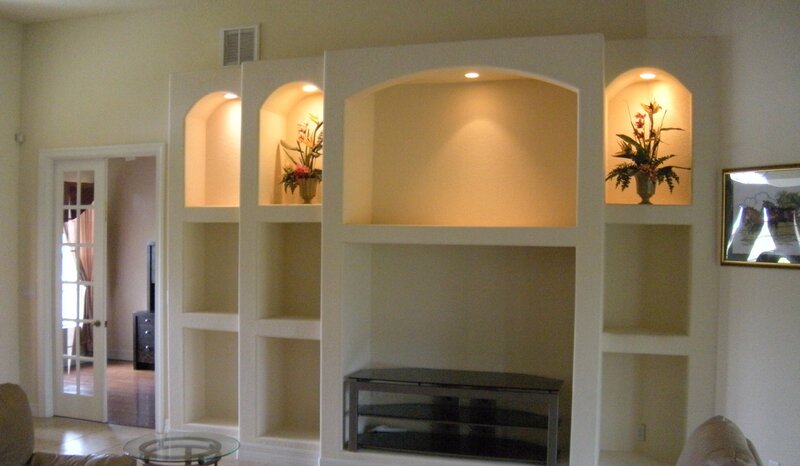 The extra-large upstairs bonus room measures 31′ X 22′ and can be utilized in a way to best fit your needs. The den would make a great office and the two additional bedrooms provide great sleeping quarters for your family or guests to enjoy. The Fort Myers – Cape Coral Fl metro was recently identified as number 1 in median price appreciation in the country, mortgage rates are at record lows and Florida was listed as number five in the USA in home appreciation during the week of May 7-12, 2012 by Core logic. That all adds up to a fantastic buying opportunity! Call me today at (239) 738-8088 or email me at al@CapeCoralHouseForSale.com to arrange your showing for this magnificent Cape Coral Fl home today!